Small hobby workshop for table top wargame miniature painting and sculpting. Itsacoyote Workshop is located in Georgia, US. Everything seems to be stable on the site and parts haven't seemed to have blown up... I hope you like the new site and design! Once of my main problems is I can never settle on one design, my ever-changing desktop reflects that! I can assure you that this should be the first and only change of site/name and likely design. There were several reasons I had for switching some things around and hopefully it wasn't confusing for anyone but myself. One of the things I plan to do is try to post more complete posts on the blog and less WIP. However, if you're interested in seeing some WIP pics of what I'm currently working on, you can check out my twitter at twitter.com/itsacoyote for any updates. I've also included it down at the footer for quick access. As you can see I'm almost complete with my Fenrisian Wolves! As you can also see, I've got a full navigation bar at the top which I'll work on filling up with a clean and organized gallery of painted figures as I finish them as well as a spot for Tutorials. If you have any suggestions on what you'd like to see as a tutorial, please feel free to comment it. There are a few over in r/warhammer where I like to frequent that are interested in seeing how I make my fur using greenstuff. Other than that, I haven't many more updates at the moment as work has been keeping me quite busy. I've no problem with that as it feeds my terrible habit of collecting things. Though I must say I believe the photo below shows some of the great trades you can find on forums if you look around enough. I can't wait to get started on those Long Fangs! Site looks very good but I am here for your other skills :) Those wolves are amazing. Hope I will find time for my army to make it so good. Love the layout of the blog and The wolfs are really natural looking. Cheers! My name is Sabrina and I am a bookworm, gamer, casual hobbyist, and plushie collector. 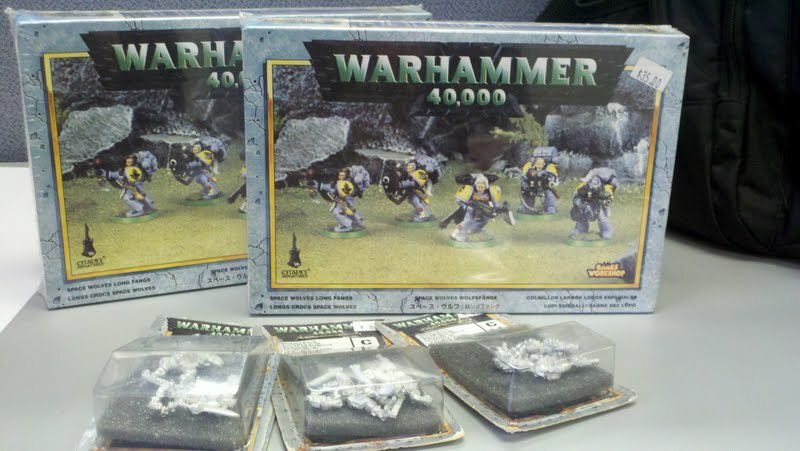 It's been years since I've picked up a brush, but I'm looking to get back into building models and Warhammer 40k caught my interest. I'm now just discovering the tabletop gaming and miniatures world and hope to gain experience in the gaming as well as the painting!